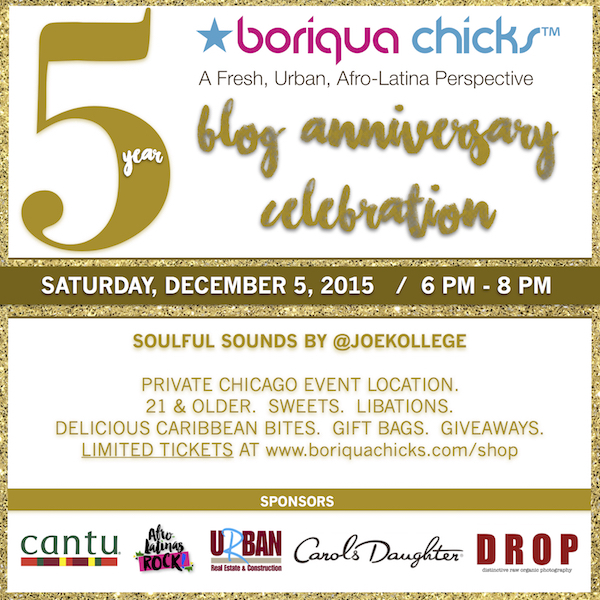 Join Boriqua Chicks as we celebrate our 5-year blog anniversary. This special reception takes place on Saturday, December 5th, from 6 PM – 8 PM at a private location. 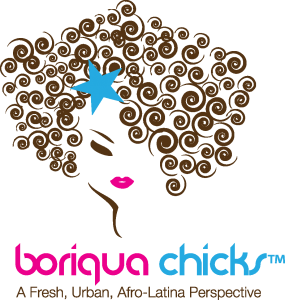 The evening will include sounds by Joe Kollege, nice gift bags, several awesome raffle prizes, delicious Caribbean bites, a dessert station, and libations. PURCHASE TICKET HERE. You must be 21 & older to purchase a ticket and you must be present to receive the gift bag and potential raffle prize. Tickets are non-refundable. If you are unable to attend you will not receive any refund of monies paid. Check out some of the event highlights below! Meet our DJ! Joe Kollege is one of Chicago’s top soulful music specialists who intricately fuses Soul, Hip Hop, R&B, & House as he becomes the voice of the people for the evening. Joe Kollege has played for such media giants as Essence and Uptown Magazines, global brands such as Grey Goose Vodka (Rising Icons) and Crown Royal, and opened for artists such as The Roots, Roy Ayers, PJ Morton, Al B. Sure!, Special Ed, KRS ONE, Eric Roberson, Robin Thicke, Doug E. Fresh and Slick Rick. 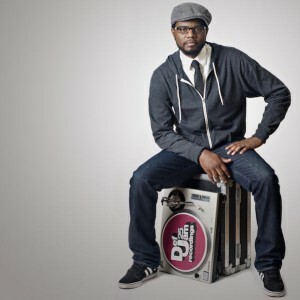 In addition, he has shared the turntables with the legendary Grandmaster Flash, DJ Jazzy Jeff, Pete Rock, Biz Markie and D-Nice. 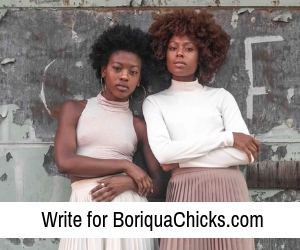 He will musically ignite soul and culture as he mixes in sounds by some of Boriqua Chicks’ favorite Afro-Latina artists on Saturday night. Listen to a sample of sounds by Joe Kollege below. You will be there, so there will be good vibes and a lot of fun. This is an intimate event so there are a limited amount of tickets; don’t wait too late, as they will be gone soon.